CRC partnered with URI’s Coastal Institute and Rhode Island Sea Grant to sponsor the newly published book, “Rhode Island’s Shellfish Heritage: An Ecological History” by Sarah Schumann. The book details the history of the state’s iconic shellfish and tells the stories of the people and communities who harvest, grow, sell and enjoy Rhode Island’s rich and delicious native catch. You can purchase the publication, which comes alive with historic and contemporary photographs, or read it online on the R.I. Sea Grant website. You know it’s summer when clamming classes are back. 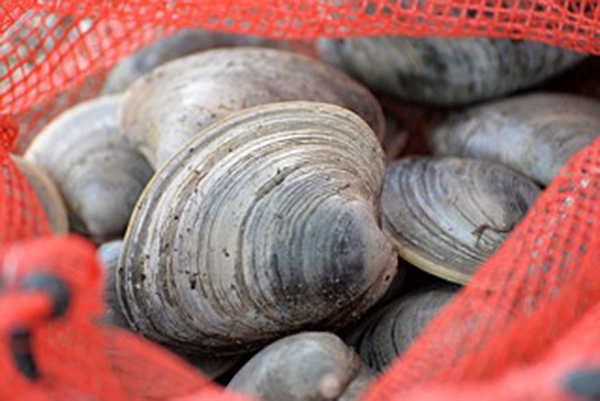 The RI Shellfish Management Plan (SMP) is sponsoring the state Department of Environmental Management’s 2015 Clamming Series. The first session of the summer is Wednesday, June 17, from noon to 3 p.m. at North Kingstown Town Beach. Many Rhode Island residents may not be aware that they are allowed to harvest shellfish recreationally in designated areas without a license. DEM is offering folks a chance to learn how to dig for clams, providing the necessary equipment to do so and sharing the management strategies that have kept Rhode Island in the quahogging industry for so long. Commercial quahogger Jody King will introduce participants to the ins and outs of recreational clamming. Space is limited, and registration is required. To register or learn more contact Kimberly Sullivan: kimberly.sullivan@dem.ri.gov or 401-539-0019.